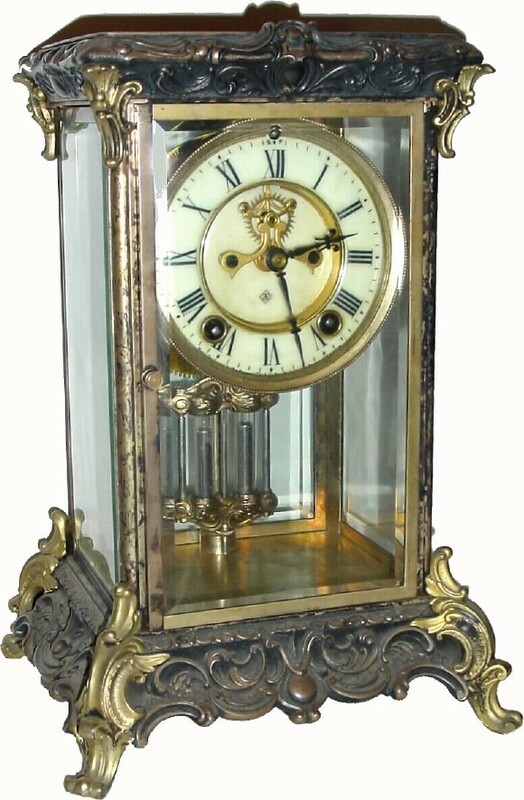 C.1917, Ansonia Clock Co., "Peer", 8-day time/strike crystal regulator, all brass case. The case is in need of a good cleaning and polishing and it looks like someone has already started the process (has some deep discoloration). The porcelain dial is perfect with original hands. The front door glass has a chip on one corner and the back glass has two chips on the both corners. The fancy pendulum is original. Height 12"